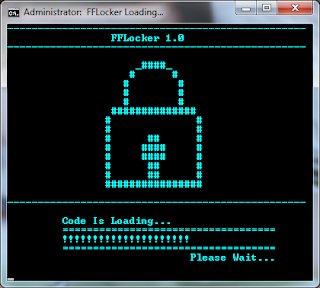 There are many batch file code available on Internet which give you locked folder where you can easily lock your private data. but there are some disadvantages of that code. 1) Any one can see your password. 2) Each time you have to move your data in that folder. 3) Anyone can Unlock your Folder. So, We have created one batch file. Which is very useful for those who don't know about DOS and it's command. There are some Advantages of this batch file. 3) You can change your password after Login. 4) You can Reset your password by Forgot password choice by providing answer of security question. 5) You can lock your any file or Folder. 6) Only you can Unlock your Folder. 7) You can easily Update your Information. Step 1 : Download Rar File on your desktop. Step 2 : After Download, Cut and paste a batch file on your desktop. 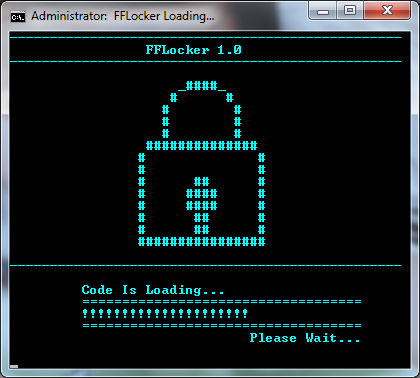 Step 3 :Now Open PDF file which is Guide Document for FFLocker 1.0. Step 4 : Follow that step Given in PDF File.